Yesterday afternoon I was served a board by Tommy Gullberg the NPC of the Swedish Senior Team coming from Sweden’s semifinal match against USA II in the very first segment. 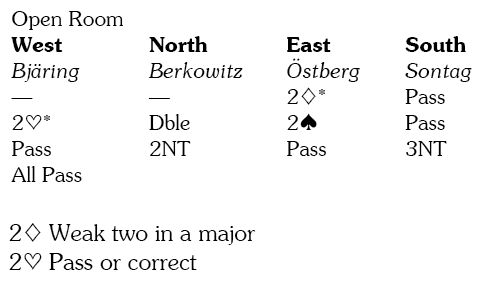 East led the jack of clubs, and Berkowitz won with the ace and cashed five rounds of diamonds, upon which East (wrongly as it turned out) pitched three spades and West two hearts. At this point declarer could have made his contract. Berkowitz who only had eight tricks then turned to hearts and led the four to the two, jack and West’s queen. 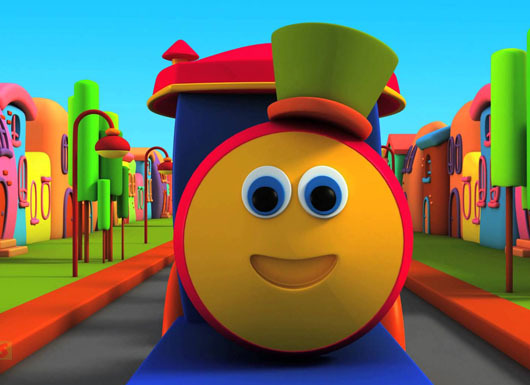 When West played the jack of spades, declarer quacked, sorry ducked – this was about how far I had read the notes when the song started to play on the I-pad when I started to laugh. When declarer ducked, East overtook the jack of spades with the queen and played the ten of clubs which established West’s queen-nine of clubs while stile having the ace of hearts as an entry. One down. 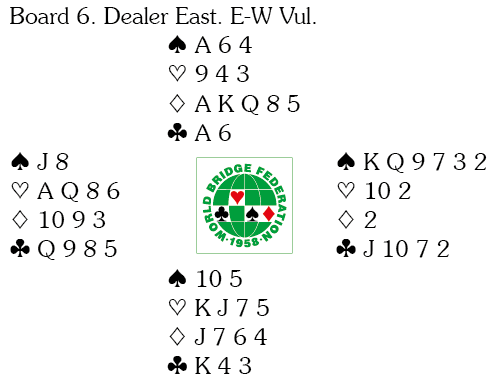 Why did East allow declarer to make by pitching three spades? East had to keep them as a threat against declarer who then must duck the jack of spades from West when its played. With only three spades in East declarer can win the jack of spades and play a second heart, establishing a heart trick. West now played the five of clubs, which went to the six, ten and “quack” the four from dummy! 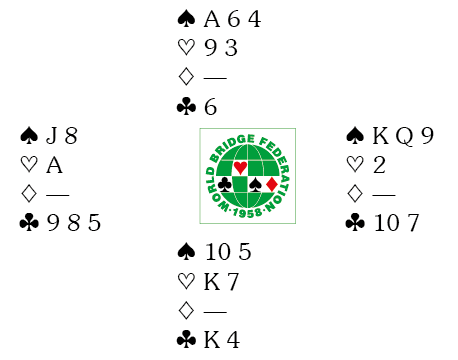 Since declarer only had lost two tricks he should have captured the ten with the king of clubs and established his ninth trick in hearts. But East didn’t understand what was going on continued with clubs whereupon declarer won the king, set up the last needed trick in hearts and could claim when the clubs split 4-4.